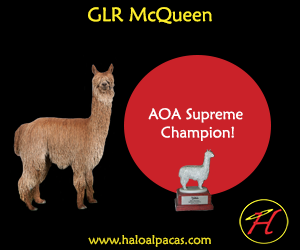 GLR McQueen is a full brother to his sister, true black GLR Miss Phoebe who rocked the show circuit in 2015 as a juvenile. McQueen, a fawn boy, has all the same fiber characteristics as his sister: fineness, density, lock, extreme luster and the wavy lock that we always hope for. 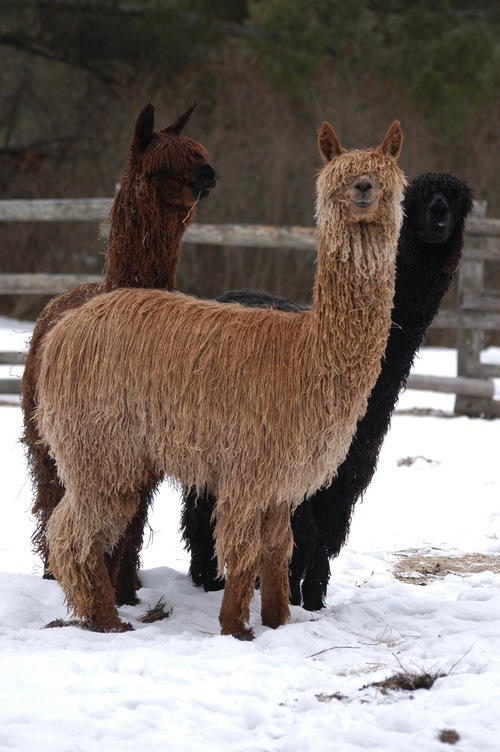 His mother Midnight Rock is a true black Rockstar daughter with extreme coverage, luster and density that she has passed on to all her cria. McQueen's sire Cinders, the 2016 and 2017 Dark Herd Sire of the Year has been carving out a name for himself in the past few years with his offspring performing well in the show ring. 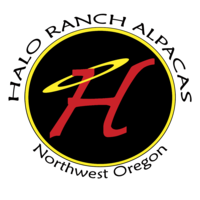 Cinders is closed to outside breedings so this up and coming herd sire presents a great opportunity for serious breeders to add outcross diversity to their foundation breeding program. This fawn male, the product of two black parents, had a excellent start to his show career winning at only seven months the Reserve Fawn Male Championship at both the 2016 AOA Nationals and the AAA Futurity. 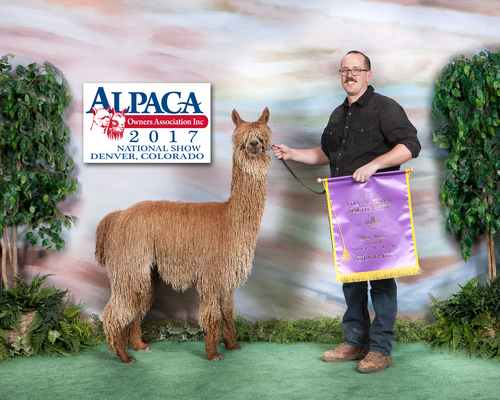 His full sister GLR Miss Phoebe was the 2016 AAA Futurity Black Female Color Champion this year as a yearling. 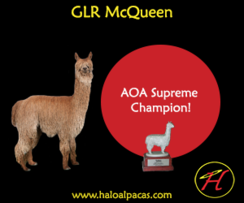 McQueen was crowned the 2017 AOA Dark Supreme Champion!